It is a beautiful sunshine day outside looking through my dining room window. It is still quite cold -9C in Ottawa. However it is pleasant that I will take Mondays off until end of March to finish my unused vacation days. So I am sharing this recipe with you, hope you will enjoy as much as I do. 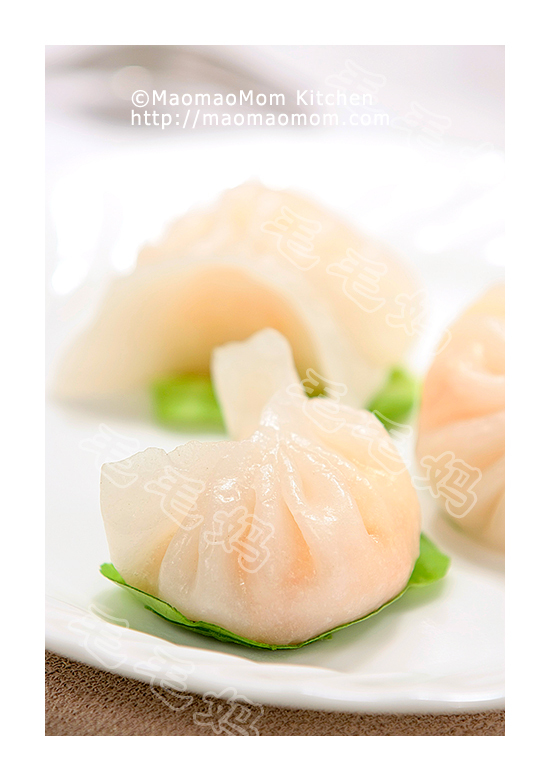 This Chinese dessert can be served as appetizer or after the meal. 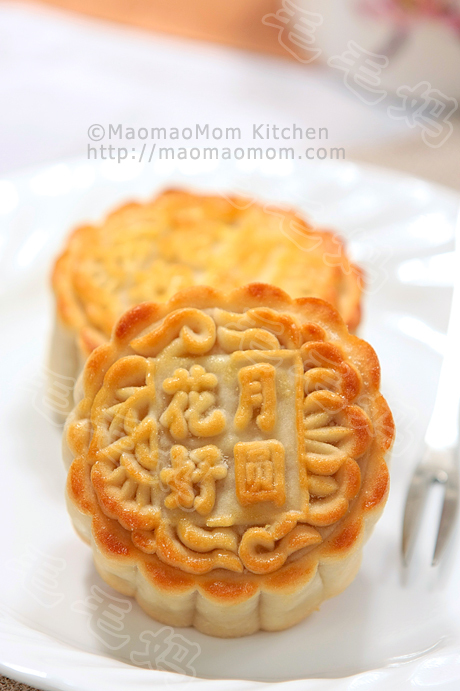 Its special homemade layered dough wrapper and sweet black sesame filling make you keep wanting for one more. 6) 3 tbsp corn oil. 1: Place roasted black sesame seeds in a plastic bag, seal and roll with a rolling pin (Picture1). Transfer the crushed sesame seeds into a medium size bowl, then add remaining Ingredient 1) (Picture 2) and combine with a fork. Add 1 tbsp corn oil and 3 tbsp honey (Picture 3) and mix well. Divide into 12 equal portions then set aside. 2: Place 1 cup flour in a medium size bowl, slowly stir in boiling water until it mixes well with flour (Picture 4). Add 4 tsp cold water and knead to form a dough. Add 1 tsp corn oil and continue to knead the dough for about 1-2 minutes until a smooth ball is formed (Picture 6). Cover with a damp cloth and let it stand for 20 minutes. 3: Combine all ingredients of Ingredient 5) in a small container. Mix well with a spoon (Picture 7), then cover and set aside. 4: Rub some corn oil on both hands and on a clean work surface. Knead the dough a few times and divide into 12 equal portions. Roll out each portion into an oval about 10 cm long, and smooth on 1/12 of oil paste (Picture 8). Fold into thirds, top edge down then bottom edge up (Picture 9). Turn 90 degrees, press down and roll out into a 4×12 cm rectangle (Picture 10). Again fold into thirds, top edge down then bottom edge up (Picture 11). 5: Roll the dough out into a 12×16 cm rectangle (Picture 12). Fold top edge down into a slender roll (Picture 13). Roll from left to right to form a ball (Pictures 14). Cover with food wrap while working on the remaining 11 portions. 6: Press down the dough ball and roll out into a 7 cm circle. Place one portion of filling on top (Picture 15). Carefully work the dough up to cover the filling and seal on top (Picture 16). Turn it upside down (Picture 17), cover with plastic wrap and set aside for 10 minutes. Then press down and gently roll it out to into a 5-6 cm circle. Repeat for the remaining 11 portions. 7: Heat 1.5 tbsp oil over medium heat in a non-stick pan. 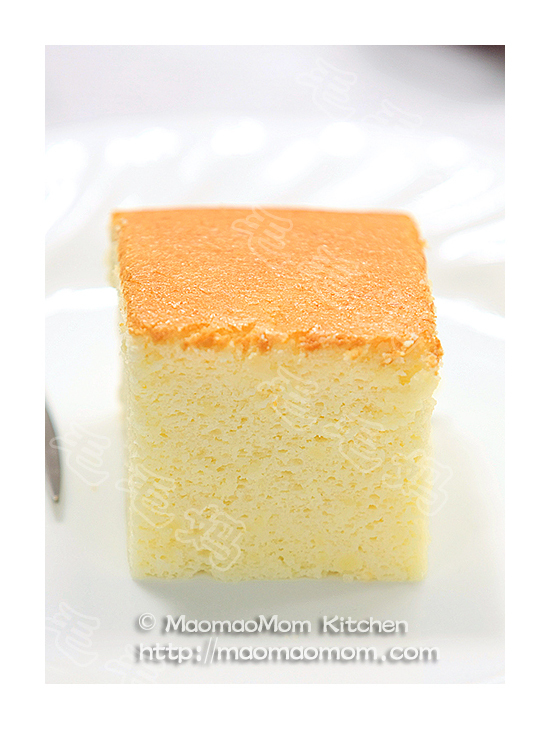 Place in six sweet sesame cake when oil is hot. Cook one side for 4-5 minutes (Picture 19), then turn over and cook for another 4 minutes until golden (Picture 20). Repeat for the other 6 cakes. Serve immediately. This entry was posted in Dessert, 点心, 特色小吃 and tagged Appetizer, Black Sesame Seeds, Boiling Water, Cake Flour, Chinese Dessert, Cold Water, Cook Time, Corn Oil, Cup Brown Sugar, Cup Corn, Cup Flour, Dou, Honey Dough, Medium Size Bowl, Oil Oil, Pan Fried, Pastry Flour, Purpose Flour, Rolling Pin, Sesame Cake, Smooth Ball, Sunshine Day, Tsp, Unused Vacation, Vacation Days, Work Surface. Bookmark the permalink. Hi, just found your site and many recipes I would like to try. Would you know how to make black sesame paste? I would like to use it like peanut butter or Nutella. Also, black sesame pudding, similar to your red ben pudding…with or without heavy cream….thanks a lot in advance! Sorry, I don’t have the recipe. Okay, thanks anyway for all the other recipes.